Marc was born and bred in Melbourne. Marc completed a farriers apprenticeship before moving to Bangalow in 1985. Marc is married to Joanne and has 2 sons – Nicolas and Jackson. As a sports fanatic, you will often hear Marc commenting on AFL, cricket, rugby league, horse racing and Moto GP. Marc’s taste in music varies. He particularly enjoys The Rolling Stones, Cold Chisel and ACDC, although he isn’t big on country! An ideal weekend for Marc includes spending time with family, swimming at the beach or the local swimming hole and in the winter months; watching Nicolas and Jackson play for the Mighty Ballina Bombers. Marc enjoys his time On Air, especially when the listeners ring up for a chat. 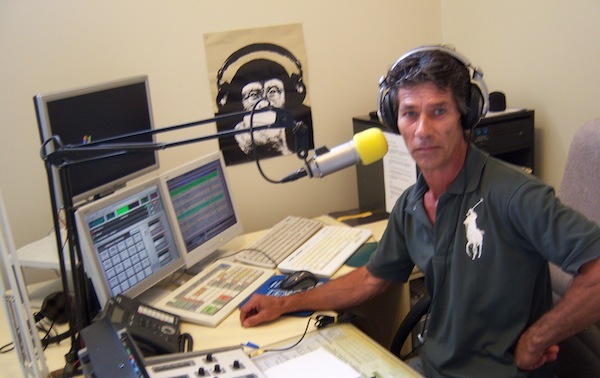 You can catch Marc weekday mornings 6am-9am for “Radio On Toast”.